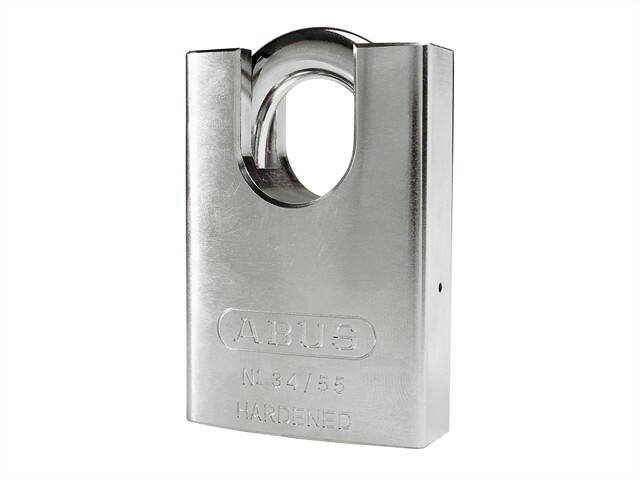 The ABUS 34 Series Hardened Steel Padlocks have through hardened steel alloy shackle and lock body. This padlock will resist all but the most brutal of attacks. Precision 6 pin tumbler cylinder with anti-pick mushroom pins which resists picking and ball bearing locking which resists lever and torsion attacks. Key operated, key retaining, lock cannot be left open without keys. Ideal for use in external conditions, medium to high security.